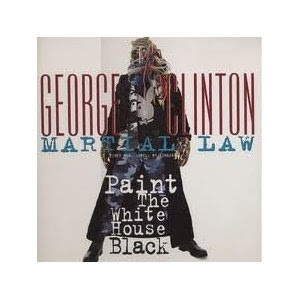 Mr. Verb: "It's gonna take martial law"
"It's gonna take martial law"
... as the great George Clinton said. Republican, Scott Walker, recall, collective bargaining, AFSCME, WEAC, rally, union, Alberta Darling, Randy Hopper, Dan Kapanke, Rob Cowles, Scott Fitzgerald, Sheila Harsdorf, Luther Olsen, Glenn Grothman, Mary Lazich, Jeff Fitzgerald, Marty Beil, or Mary Bell. As a seasoned administrator at the University told me last week, this list of keywords is "the clearest fishing expedition I've ever seen in a FOIA request". Now, I've never dealt with Freedom of Information Act requests, but I'll take their word for it. If you would like to correspond with me about any of the topics below, please email me at ---------@gmail.com. Some have suggested making the keywords into poetry. Others are opening it up with the famous Sifting and Winnowing quote. Have fun.